You can get good customer service at a hotel, but often you’re just a room number. 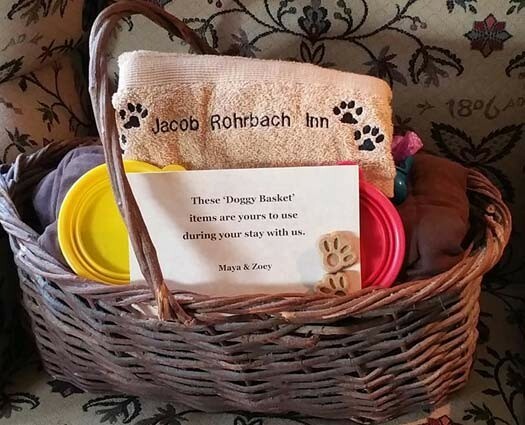 Here at the Jacob Rohrbach Inn you will get a personalized experience. When you check in, you get to meet an Innkeeper, not an employee or just a book listing the rules and a few suggestions of things to do. We actually know your name and where you are from, we know that it’s your birthday or anniversary and we even know if you want coffee or tea at breakfast. We also know if it’s your first time to the area or your 20th and know just where to send you to find a great experience. Want to go to a winery? Let us know what type you are looking for and we can send you to just the right place. Want a romantic dinner, or maybe just looking for a quick bite between activities – we know the perfect place for both. 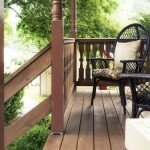 Want to hang out on one of the porches with a book or just take a nap? DO IT! Want to sit down and chat with us about how we came to do this, or why you are here? Great – we love to hear about you and your story. Only want to see us at check-in and breakfast? That is perfect too. No judgment here- this is YOUR stay. A stay designed by YOU! Our goal is to make you feel comfortable and relaxed so that you leave with great memories. You may find some hotels or other rental accommodations appear cheaper but the value at a B&B is far better. When you check into a hotel, you might get free parking and a so-so continental breakfast, Wi-Fi is almost always an extra cost and there might be an overpriced vending machine for late night munchies. We recently went to a conference and learned that if we wanted a mini fridge in our room, we had to pay an additional fee each day. Who does that? At our bed and breakfast it’s all included! Off-street parking – free, High speed internet – free, Mini-fridge in room – free, Soda, coffee or tea – free, Fresh, homemade goodies and snacks– free, Amazing multi-course breakfast – free. (I feel like that tax commercial: free, free, free-free-free, free.) But seriously, It’s all FREE! At a hotel, you might get a disappointing grab-n-go cold breakfast, or maybe you will get lucky with a “hot” breakfast. But should questionable eggs and a rubbery waffle sitting under a heat lamp be called breakfast? You will find none of that when you stay at our Bed & Breakfast. Wake up to the scent of locally roasted and fresh ground coffee brewing, or the aromas of thick Applewood-smoked slices of bacon sizzling in the oven. That’s what you will find at the Jacob Rohrbach Inn. A homemade, multi-course breakfast brimming with local products and flavors is simply the best way to start your day. That wonderful coffee is out on the comfort station by 7:00am and breakfast is served in the dining room at 8:30. Our menu is ‘chef’s choice’ and alternates each day between sweet and savory. If you don’t like making small talk in the morning – no worries. At the Jacob Rohrbach Inn we don’t make you ‘sit with strangers’. All of our tables are individual and allow you, the guest, to be in control of how interactive you are. Remember this is YOUR stay, you get to decide. Need an earlier start to the day? We will be happy to provide you with a ‘road ready’ breakfast to get you on your way. Don’t worry if you have any food allergies or dietary restrictions, just let us know ahead of time and we will be happy to accommodate them. When you stay at many brand name hotels, they attempt to provide you the same experience in every location. Which means no matter where you stay, NYC or Bali, you will find the exact same thing. Boring! 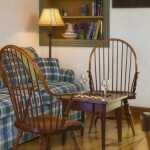 A Bed and Breakfast is owned by local residents and provides a unique and authentic experience. If you really want to ‘live like a local’, here is your chance! 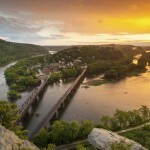 Get the scoop on attractions and activities that are off the beaten path and find out where the hidden gems of the area are. We know the best place to go to capture a sunrise/sunset. We know where to send you for a short relaxing hike or where to go for a challenge. Where is the best place to get your bike on or off the C & O canal? We can tell you that too. Need to find a place to take the kids on a rainy afternoon, or a pet friendly restaurant? Don’t worry, we’ve got you covered. 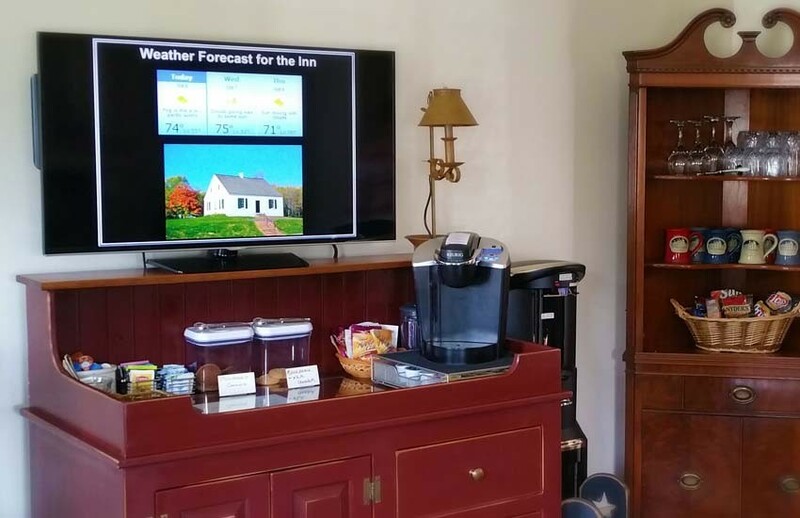 At the Jacob Rohrbach Inn, you will find your Innkeepers are an outstanding source of local information. Quite a few Bed and Breakfasts are historic buildings, architecturally distinctive and no two ever look alike. Many of these are in restored buildings that are hundreds of years old and have played an important role in the history of their town. 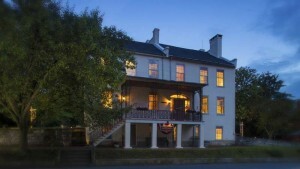 The Jacob Rohrbach Inn also has a rich history and unique story. Situated along the main street, our motto is “An Eyewitness to History Since 1804”. 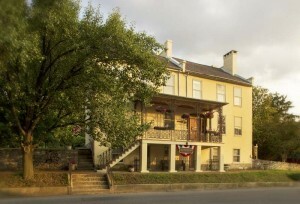 Be sure to ask us the story of our Inn during your stay. 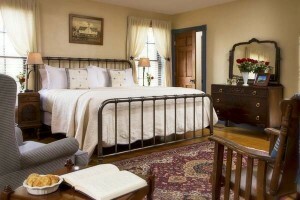 Unlike small cookie-cutter hotel rooms, the Inn has five spacious and comfortable rooms. All five have been thoughtfully restored to maintain their historic character. 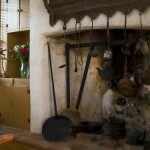 But don’t let the word historic fool you, we’re not ‘Grandma’s house’ with plastic slip covers and doilies everywhere. Our rooms and suites are individually furnished and come with all the modern amenities that will make you feel at home. If you are traveling with another couple, check out their room. You will be surprised at the differences between each one. 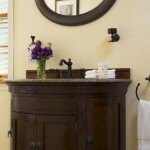 Our website allows you to view large pictures of each guest room and select the one that most appeals to you. At the Jacob Rohrbach Inn you get to choose your room, not your room type. So, the next time you are traveling, or planning a vacation, don’t get overwhelmed by all the choices. Choose a Bed and Breakfast. Come stay at the Jacob Rohrbach Inn for a great experience! 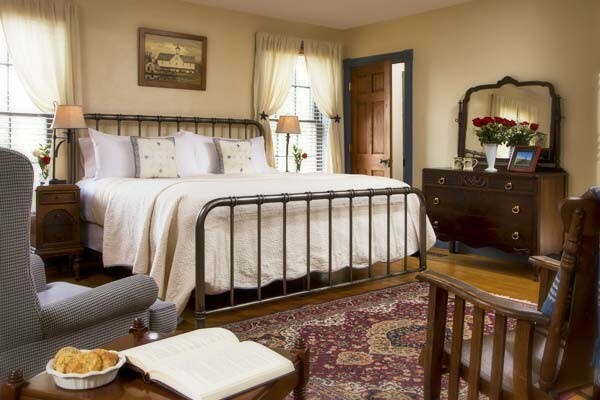 Looking for a relaxing and enjoyable bed and breakfast experience? 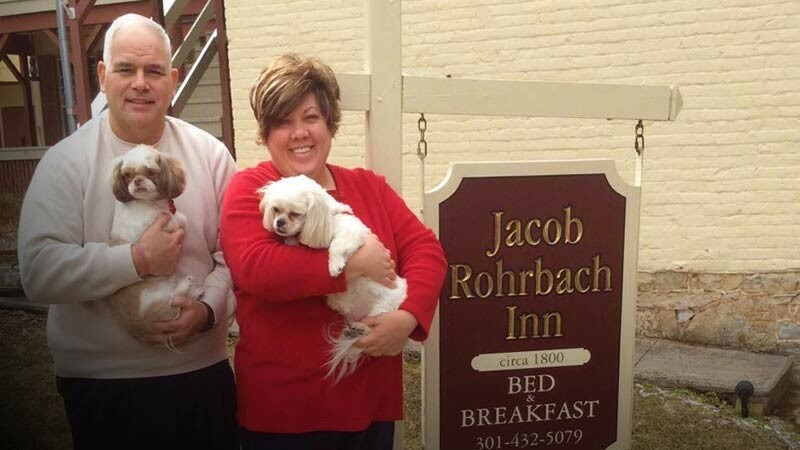 Come visit the Jacob Rohrbach Inn in Sharpsburg, Maryland. An eyewitness to history since 1804, this historic Bed & Breakfast is located near the Antietam Battlefield and provides large comfortable rooms, friendly hospitality, free wifi, and a 24hr coffee station loaded with cookies and snacks! Come stay with us to experience the Civil War, explore the outdoors, discover your new favorite restaurant, tour a great winery, or just sit back and unwind at the end of the day. 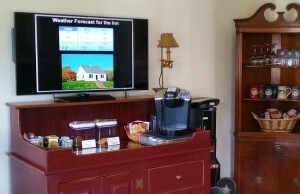 Watch our new video and see how the Jacob Rohrbach Inn offers the perfect destination for a vacation to remember. 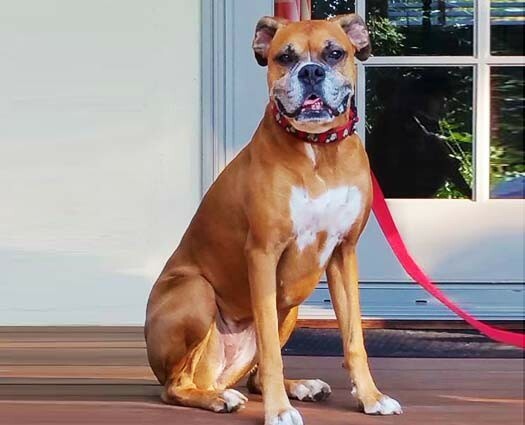 We are “Dog-Friendly” at the Jacob Rohrbach Inn and we invite your four legged friends to stay with you in the Generals Quarters. 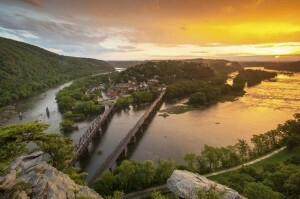 Our three national parks; the Antietam National Battlefield, the C & O Canal, and Harper Ferry are ideal places to take your dog. 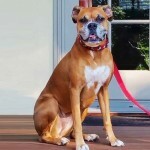 We accept a maximum of two dogs in the General’s Quarters and there is a $35 charge per pet. 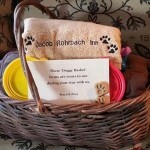 Dog amenities include: our embroider puppy paws towel, a couch cover, pet waste bags, and a special treat! We will also supply bowls for food and water. That my pet is well behaved, housebroken and will not disturb other guests (e.g. barking, howling or jumping). 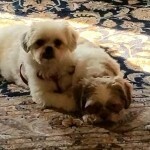 Pets must be clean and treated for fleas and ticks. To never leave my pet unattended at the Inn for an extended period of time (>2 hrs). Pets are to be crated in guest rooms when owner is not present. If you do not have a crate/carrier you can rent one from us for an additional $25 per stay. To always have my pet on a leash when outside my guestroom. To use the designated dog ground and to clean up after my pet. To be responsible for any and all damage caused to my guestroom, the Inn grounds or to other guests. (e.g. chewing, digging, biting). My guestroom will be checked after my departure, and if there is any damage, the Inn is authorized to charge any and all expenses to my credit card. Pets are only permitted to stay in the General’s Quarters. For safety, no guest pets are allowed in the main house. 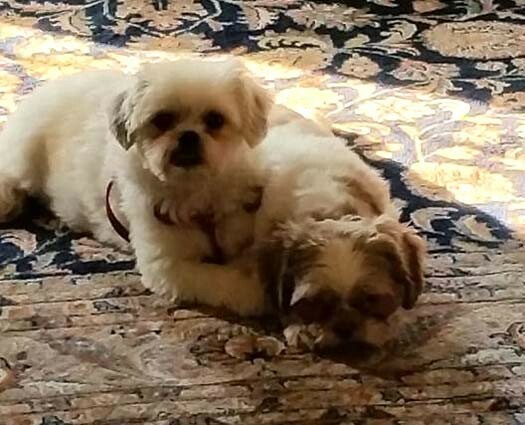 Thank you for your cooperation in keeping our pet-friendly Sharpsburg lodging comfortable for all our guests!